Test all of the fantastic Elektra Magnesium Cream scents with the Four Sampler Pack with Oil Spritz. 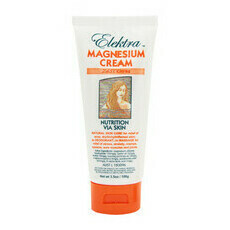 These bestselling creams are loved for their signature 15% potency food-grade Magnesium formulations. Perfect for travel, as a present, or just if you can't choose one scent, each cream in this tester set works as a rich and hydrating moisturiser thanks to naturally soothing and nourishing butters and oils. 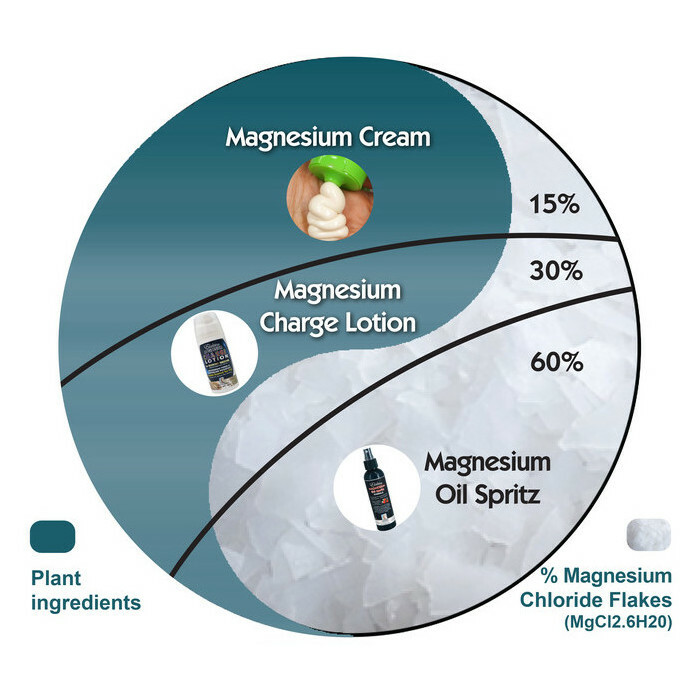 Ideal for use all over the body or in massage, they deliver the same amount of Magnesium, but each cream has its own unique fragrance. 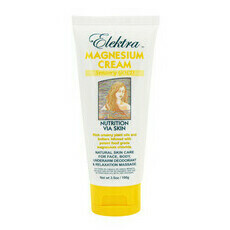 Elektra Magnesium Creams can be used in conjunction with the Oil Spritz for enhanced Magnesium absorption. Made in Australia. No animal products. Fair trade Shea Butter. Non GMO. Recycled packaging. Not tested on animals. 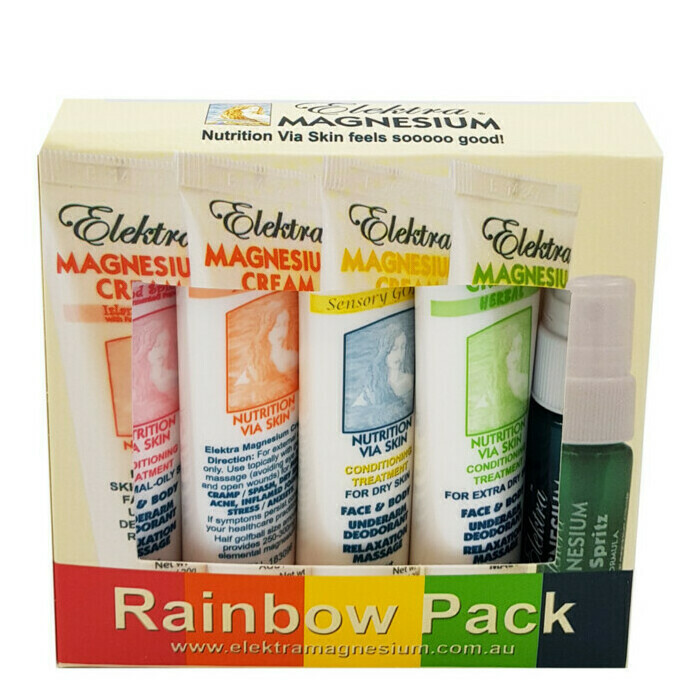 *The claims used in this product description are published claims from Elektra Magnesium's product packaging or official website. If you are concerned about your Magnesium levels, please consult your medical professional. Always read the label. Use only as directed. If symptoms persist see your health care practitioner. Almond Oil, Apricot Kernel Oil, Coconut Oil, Shea Butter. See individual items for full ingredients listings. 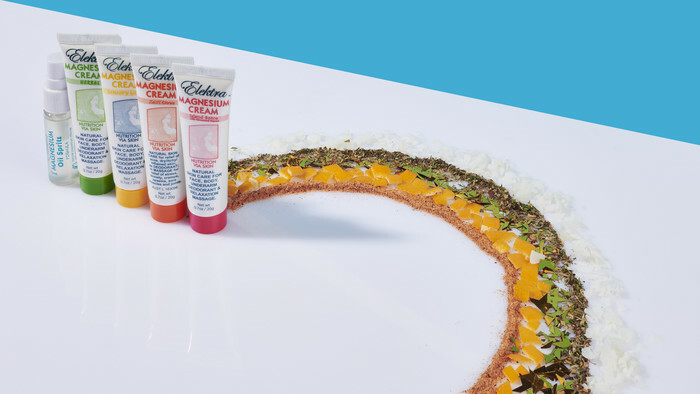 Rub the cream into your skin liberally, avoiding the eye area or broken skin. Allow 10-20 minutes for the cream to be fully absorbed. My favourite magnesium! Great pack because you get to try all the different scents. Great for tired sore feet! Helps me relax after a big day.